Home > What Are Executive Orders Anyway? Basically, an executive order is an official statement from the president directing how federal agencies, which are part of the executive branch of government, should use their resources. Such orders are one of the types of “executive actions” permitted under Article II of the Constitution, and are the most formal executive action. In the modern era, President Reagan signed the most executive orders. Can Executive Orders Create New Law? No. A president cannot create new laws through executive orders. You might ask, “But isn’t directing the construction of new wall on the border with Mexico basically a new law? ?” Not legally. The executive order to build the border wall directs federal agencies to prioritize building the wall and directs the Department of Homeland Security to use already-available funding to start construction. Can Executive Orders Appropriate Money from the Treasury or Taxpayer? No. When done appropriately, executive orders cannot appropriate new money from the U.S. Treasury or, for example, impose any new taxes on the public. Only Congress can do these. 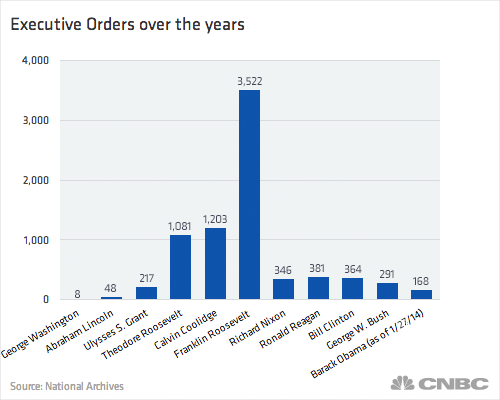 Why Are Executive Orders So Controversial? When a president signs an executive order that the opposing party dislikes, the president is accused of doing an end run around Congress. So far, President Trump’s most controversial is this order banning refugees, immigrants, and even U.S. green card holders (i.e. lawful permanent residents) and dual nationals (those who hold citizenship from one of the listed countries and another non-U.S. country like the United Kingdom) from seven Muslim-majority countries. It’s reported that the ban does not include several Muslim-majority countries where the President has business interests, such as hotel licensing deals. The ban could affect people like Mo Farah, a gold-medalist Olympic runner, who lives and trains in Oregon, and who has dual British and Somali citizenship. The ban also affects those who assisted the U.S. during wars and have gone through a lengthy vetting process for refugees. 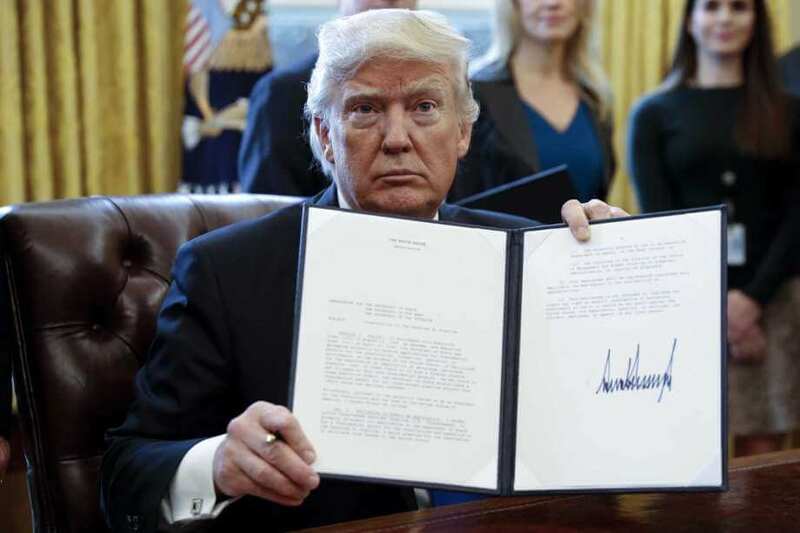 Are Executive Orders Subject to Challenge? Yes, they are subject to judicial review. In fact, a federal court has already issued an emergency nation-wide stay halting enforcement of President Trump’s executive order banning immigrants, refugees, and even U.S. green card holders from seven Muslim-majority countries from entering the U.S. In 2014, the U.S. House of Representatives approved a resolution that allowed Speaker John Boehner to sue President Obama over an executive order the president issued relating to the Affordable Care Act (ACA). While Congress has the power to overturn an executive order by passing legislation that invalidates it, the president retains the power to veto it. Congress would then need to override a veto with a two-thirds majority to end an executive order. This is called a supermajority vote and makes congressional override of an executive order extremely difficult. Congress can also refuse to provide funding necessary to carry out certain policy measures contained with the order. For example, if the Mexican border wall cannot be built with the funds already appropriated to the federal agencies, then Congress would need to authorize additional funding. What do you think? Are executive orders a necessary evil, especially in the face of an obstructionist Congress? Or should they be used sparingly?